I’m very pleased to announce that Chatty AF is now available on iTunes and Stitcher! Unfortunately, Google has regional restrictions getting in the way of us getting on Google Play, but we are available through Player.FM, which offers a free app Android users can access. If there is another service you would like us to apply to, let us know in comments! We want all of you to be able to go back and catch up on the shows you’ve missed. Speaking of going back… This podcast is a little late, entirely my fault. It was recorded a month ago, when the winter 2017 season of anime was just finishing, but season premieres took over my life for a fortnight and I’ve been playing catch-up ever since. However, this is unlikely to happen ever again because – drum roll, please – you wonderful people have raised over $900 in pledges for us! This means we can offer weekly podcasts, starting today, and outsource all of the work I’ve been bottlenecking. Thank you, thank you, THANK YOU to all our patrons for showing us this support. We say often that every dollar counts, so here is specifically what that extra $120 means for us. In general, I do AniFem activities by myself as much as I can and ask as little as possible of our fantastic team of volunteers until I can afford to pay someone to take over completely. Peter has been very kindly editing these podcasts for free, but I have been in charge of uploading them to Soundcloud, listening through to mark chapter divisions, sourcing an appropriate image, etc. $800 a month is our writing fund, to cover up to four posts a week with any unused money giving us a financial buffer which can go towards other ad hoc projects (e.g. paying Dee and Vrai to write some of the spring 2017 premiere reviews). With an extra $120 a month, we can afford to pay Peter for an average of two hours of his time each week to take over this entire piece of work and make sure it gets done on time. As this job is paid by the hour, we really do need a little more money in the bank to ensure we can always pay him for 100% of his time. There will inevitably be times he is handed audio tracks with nightmare technical difficulties requiring more than two hours – as already experienced with our Ghost in the Shell episode. If you enjoy the show and value people being paid fairly for their work as much as we do, please do consider becoming a patron for as little as $1 a month. As you can see in this very update, every dollar adds up to allow us to improve AniFem for everyone. Amelia, Caitlin, and Peter look back on the winter 2017 season. Listen out for discussion on whether Interviews with Monster Girls counts as good representation, how ACCA changed the way we assess storytelling, and Amelia’s U-turn on Miss Kobayashi’s Dragon Maid. Caitlin talks towards the end about panels she hosted at Sakuracon in April 2017, but she will do these panels at more conventions this year. For updates, follow her on Twitter @alltsun_nodere or through her fantastic website Heroine Problem. 27:39 Would we recommend Interviews with Monster Girls? 36:21 Would we recommend ACCA? 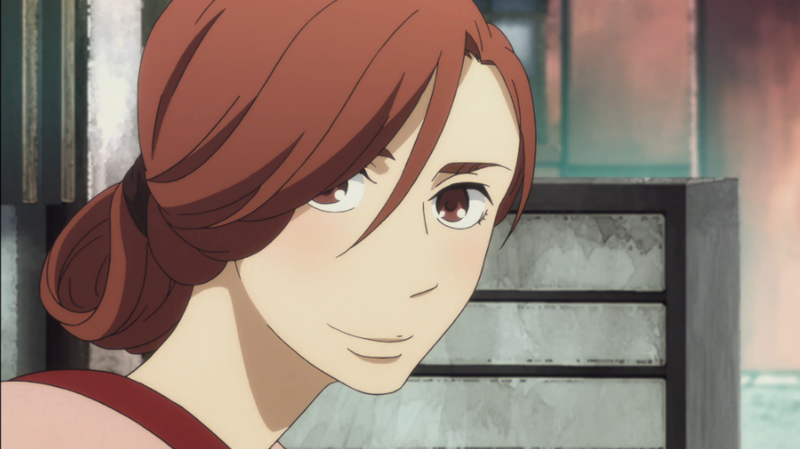 37:40 Would we recommend Showa Genroku Rakugo Shinju? 43:20 Would we recommend Miss Kobayashi’s Dragon Maid?